Enterprising and dynamic iPhone developers here at MobilePhoneApps4u create the unrivalled rendition, untouched alliance of yours with the leading iPhone apps technology. Hiring iPhone app developer has turned into a global trend as iPhone is significantly leading the smartphone industry. Dedicated hiring of iphone app developers has become essential part of development strategy to craft an iphone application that can fulfill business objectives. iPhone is known as the most celebrated smart phone in this gadget age. It registered record figures in sales when it was introduced in the year 2007. iPhone took no time to become the worldwide sensation in the area of mobile telephony with its never before features and functional responsiveness. With this, Apple Apps store, paved the path for iPhone Applications Development industry. And soon iPhone applications gained the status of the communication fuel that was significantly large in scope and finest in its performance and detailing. MobilePhoneApps4u has significantly used this potential. iPhone app development is one of our forefront service areas that brings across the most sought after features, working compliantly with the amazing gadget functionalities. Profoundly framed to serve innate potential, our iPhone apps worked fantastically for different businesses spread across industry verticals like Consulting, Real Estate, Health Care, Manufacturing, and Education, among others. We have one of the best infrastructure support and industrial resources to help us design most sophisticated and value-defining apps for our clients. Baritastic is a health and fitness app for iPhone that allows user to effectively follow a fitness regime and have a control over the exercise and diet with the help of interactive application features. 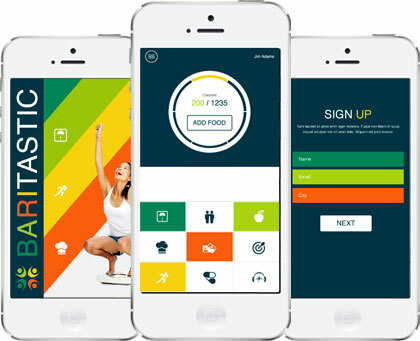 With the help of the application, you can easily get your diet chart in place matching your fitness goal. You can get all the information and feedback on daily calories consumed and used with everything presented through graphs. Get reminders and add resources to help you get through your weight loss goal. 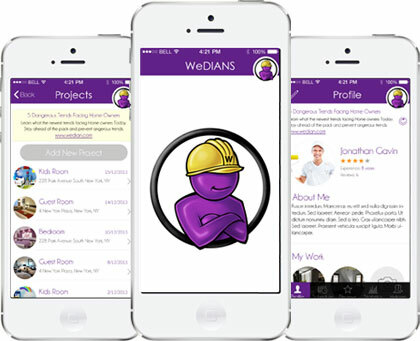 Wedian Designs is an iPhone app that lets the provider and client connect easily and in less time. The major application idea is to connect Wedians (Home Cleaners & Painters) with Clients who want home cleaning services and painting services. Client can login into the application, post the requirements, and search for Wedian. The client can select Wedians to notify about the requirements through text & email. 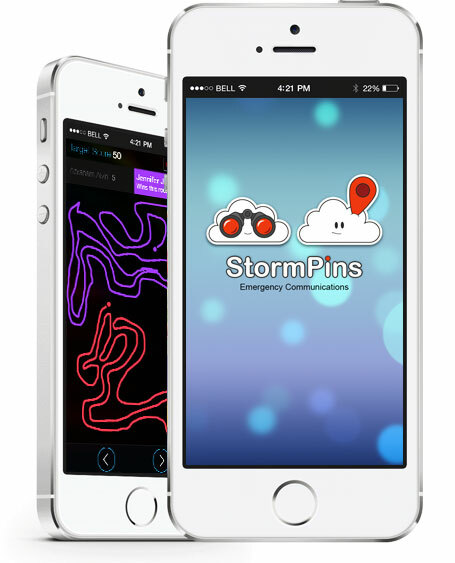 StormPins is a crowd-sourced Emergency Communications platform where users drop alert pins on a map with pictures, video and a 2-way tip line. 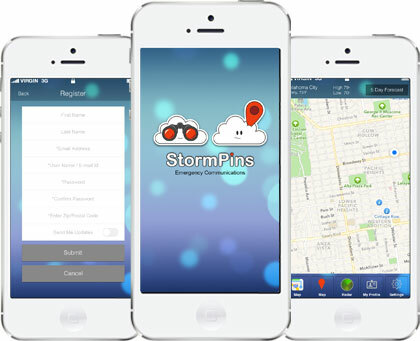 The app also ties into PinResponder which is a web based platform used by emergency managers, law enforcement and the media to send and receive alerts to the StormPins app. 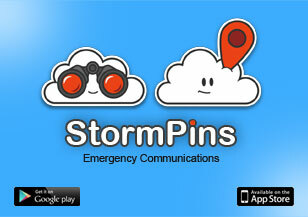 Every alert pin can be shared on Twitter and Facebook. Local TV Media can publish your alert on-air by integrating with PinResponder. Harness the power of Social Media to improve communications in your community. 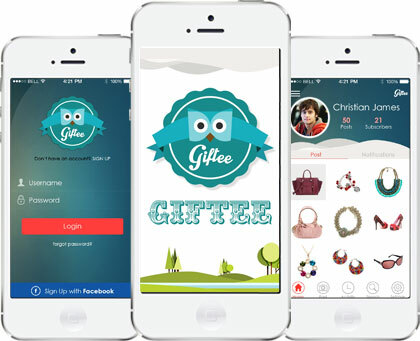 Giftee is an interesting gift forum that lets users share gifts and gift ideas with their friends. Available on iPhone and Android, the dynamic application allows users to connect with their friends and see their events and gift suggestions too. They are allowed to buy the gifts from the marketplace available on the site. On the other front, the sellers on the site will add the products to sell. 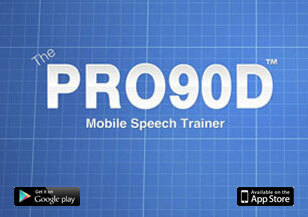 Pro90D is an iPhone application for speech training that helps you develop a better speech. The application covers different dimensions of correcting speech with different training modules and levels. 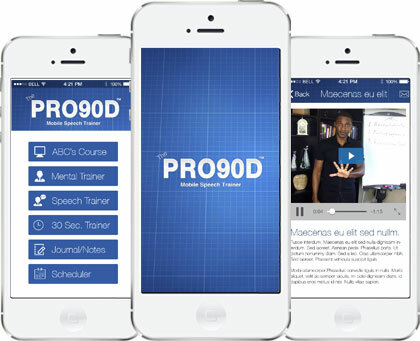 With various sections like ABC's course, Mental Trainer, Speech Trainer, 30 Sec Trainer, Journal/Notes, Scheduler helps you easily train yourself on your mobile. 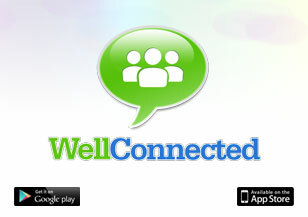 This health and fitness category iPhone chat application lets patients join pharmacist-moderated support groups. You can seamlessly connect with people taking the same drugs and having the same side effects like yours. 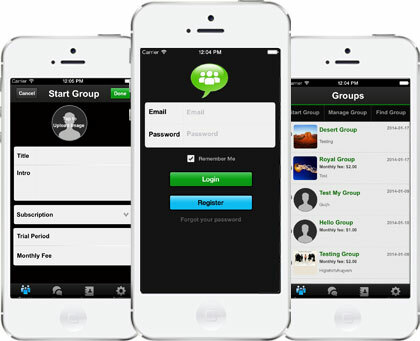 The application also allows you to create your own mobile support groups for your offline groups. Having served more than 1200 customers in 25 countries, Octal is all equipped to respond any type of challenge the modern businesses face. Team-Octal comprises of highly skilled and experienced pool of resources - working in a close-knitted network and astute work setting. Compared to close contemporaries in iPhone app development, we have registered astounding figures in market penetration with our wide-ranging iPhone app solutions overdoing similar businesses with 5 times results. Our iPhone app solutions range across varied segments of utility and benefits. We have redefined the dynamics of mobility across different business types and functional segments through our scalable and handy solutions. For us your business interest comes first. Through our strict NDA terms and transparent business policies, we assure you 100% confidentiality and keep your unique iPhone idea and business details protected throughout. iPhone games that rule all reasons to believe in leisure and thrill comes easy! 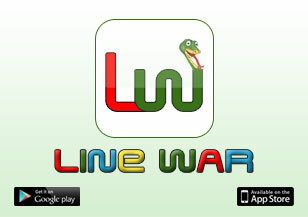 "Line War Premium has been really done justice with. They went into detailed discussion with my team first and then chalked out the plan to make things happen our way eventually. The ideas they roped in while transiting my app to its shape were phenomenal and played instrumental role in defining the soul of it." "I tried two developers to outsource my project before I met Octal. I was soon convinced with their interpretation which they sent me through their initial mock-up designs, unlike what happened with the first two. I am really happy with the work and mostly because of their timeliness and prompt reply. It felt so secure working with Octal!" "Professionalism is right there in this company's veins. The way they generate documents, talk with their clients, write emails and release milestones impressed me quite a lot. They have this deep understanding working with iPhone projects which is quite clear from the way they respond to each facet of solution." "The system of communication is really good, and the team is very accommodative and easy to work with. Octal has a professional culture within that helps them get along well with dynamic assignment needs and helps the project accomplish the way best suited to the situation." 5.0 out of 5.0 for iPhone app development by 1000+ customers on over 500 projects.